As a bed and breakfast in a tourist area, you want to include as much value-added information for your guests as possible, especially on your website. Provide links to important articles on blogs and other websites dealing with the latest tourism news in your area. Here is just one example, dealing with Siesta Key Beach in Sarasota, Florida, which has been voted the number 1 beach in the USA. Sand is pretty shifty stuff. No beach is static. All sand moves up and down the coastline because of wind, storms and ocean currents. The shifting dune is a common phenomenon in sandy areas. If the sand is eroding in one place, it’s building up somewhere else. Prevailing winds roll the surface sand from the bottom of the windward side of the dune over the top and down the leeward side, so that in time the entire dune may be rolled for miles. Nobody can calculate how many eons of time have passed since Siesta Key sand first appeared from fragmented rock, but Siesta Key sand is quite old. We know this not only because of the very fine grains, but also because other components of the original rock, such as feldspar, mica and other minerals, have almost completely disappeared, leaving only the extremely hard quartz. Siesta Key’s beaches have been recognized for cleanliness, water quality and safety by one of the world’s top experts, Dr. Stephen Leatherman (also known as “Dr. Beach”) of the National Healthy Beaches Campaign, and qualifies as a Blue Wave Beach by the Clean Beaches Council. The Travel Channel ranks Siesta as one of Florida’s, and America’s, top ten beaches. So now you know why Siesta Key sand is ranked tops in the world. It feels soft and cool to your bare feet, even in the strongest Florida sun – and that means great beach walking. Sculptors love it too, because it packs down firm and smooth, which makes for awesome sand sculptures at the island’s sand sculpting contests. BedBreakfastTraveler (Instant World Booking) is your cheapest option for bed & breakfasts, inns, and hotels around the world. Our new Lowest Price Refund Guarantee is a promise that you won’t find cheaper B&B prices elsewhere. We’re cheaper than BedandBreakfast.com, Iloveinns.com, bbfinder.com, and all the rest. We offer a guarantee that you’ll receive the lowest available price. So, don’t bother looking any further. Reserve with confidence knowing that, if you do find a lower price, we’ll refund you double the difference. It’s that simple. How can we offer this incredible guarantee? Because, BedBreakfastTraveler is one of the most economical online reservation providers, serving over 10,000 unique bed & breakfasts and specialty inns and hotels worldwide. And, because we provide superior service and technology, we don’t gouge our accommodation partners with exorbitant commissions. So, we can pass on the savings to our travelers. (1) Contact us within 7 days of booking your accommodation through BedBreakfastTraveler (Instant World Booking), or one of our 100+ travel websites. Your booking must be completed on one of Instant World Booking’s websites, not a lodging’s website or other affiliate site. (4) The lower price must be available on a website other than bedbreakfasttraveler.com. Fake User Reviews – Do They Really Hurt Your B&B Hotel Business? 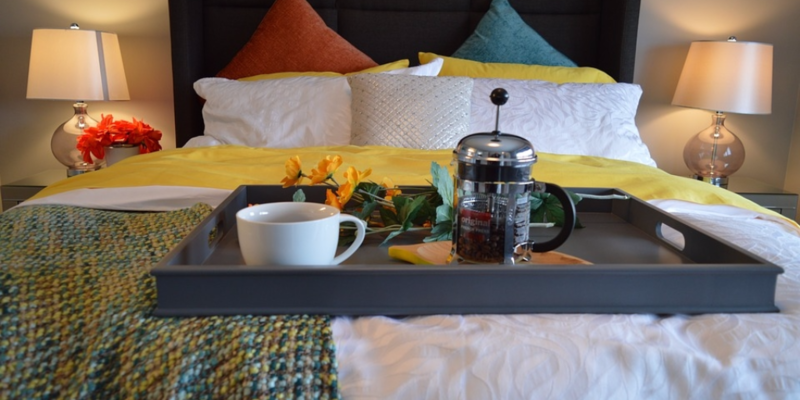 When we began BedBreakfastTraveler’s Intelligence for B&B’s Blog, we committed to bringing you indispensable advice and guidance for marketing your bed and breakfast or small hotel online. We also will bring you advice on some quite controversial topics. Yes, these are the topics that most marketing experts hesitate to mention to their clients. But, there are some very controversial topics out there that everyone wonders about, and a few worry about. So, we’re kicking off this blog with a very controversial topic these days — Fake User Reviews. Yes, these are traveler reviews that hotels may write about themselves, or that competing hotels may write about their neighboring properties. Sometimes they’re even written by guests who have never stayed at the B&B they’re reviewing. Some are written for personal gain, or for the detriment of others. One thing in common for all fake user reviews is that they’re WRONG. Not only are they ethically wrong, but writing a false review breaks international rules of commerce and violates the terms and conditions of every online service that features online reviews. The real questions likely to be on your mind are (1) why are fake reviews written, (2) do they really hurt my business, and (3) can I do anything about them? There are any number of reasons why people write false reviews. The whole premise of online user reviews is that people like to have a voice, and communicate with an otherwise anonymous audience. When websites feature a product or service, and then ask the public for their opinions, the result is often an instant flurry of comments. Let’s face it, people have strong opinions about things, and like to be heard. Entertain these inborn human characteristics with a simple online interface allowing anyone to reach thousands or even millions of readers, and you have instant success. Going hand in hand with the instant success, you have the negative side of human nature. People begin to figure how to game the system, to enhance ratings for their own product or service, and drag down that of their competitors. Enter the fake review. As an online marketing expert, I’ve seen virtually every form of falsified review being published on the internet. These fall into basically two categories, basically others (guests and competitors) who want to see you fail, and reviews you may solicit (or write yourself) for personal gain. Bed and breakfast and small hotel managers should never participate or encourage this activity. Marketing time and efforts are best spent elsewhere. The biggest reason for not participating in fake reviews is that, 9 out of 10 times, false reviews are usually recognized as being false. In fact, most fake review attempts are so blatant, it’s almost ridiculous. When a B&B has only 1 or 2 reviews written, and these have 100% ratings, readers discount them as false. When excellent reviews sound like marketing proposals, they’re discounted as false. When reviews for international hotels are written by guests from English speaking countries, and are written in broken English, the review is discounted as false. Participate in any false reviewing activity, and risk being banned by the host services. But do fake reviews always hurt your business? Not really. If it’s true that falsified positive reviews never help business, it is equally true that fake negative reviews usually don’t hurt either. In fact, there is a theory that negative reviews can have an equally and offsetting positive impact on the popularity of the subject B&B or hotel. Consider the person with a grudge that signs into several websites to write negative reviews. While the impact of the actual review comments will be watered down over time, the mere mention of you property in these new online locations will tend to boost your search engine popularity. This is especially true if your website’s URL is included in the review text. Combine this with the fact that online review readers have learned how to decipher false and true comments about bed and breakfasts, and there’s not much to really worry about. So, can you really do anything about fake reviews and the minimally negative impact they may have on your B&B business? Yes. Our primary advice is to simply not participate in any false reviewing activities, whether negative or positive. This is a waste of time, and will only reduce the credibility of your business. You’re also more likely to get banned from some of the valuable online marketing services you subscribe to. Secondly, if you suspect any false reviewing campaigns being carried out against your B&B or small hotel, don’t worry. These are not likely to have any large or lasting impact. Simply contact the host services that are publishing these reviews to report the suspected violations. A positive step you can take to promote positive and accurate reviews is to simply ask your guests to write reviews on their experience. Ask them to write their reviews on reputable host services like BedBreakfastTraveler or Trip Advisor. Finally, how can you find out if there any reviews being written about you on the internet? That’s simple. Use a popular search engine like Google or Yahoo, and enter your property name followed by the word “reviews” (or “traveler reviews”) in the search bar. You are likely to come up with any recent comments being published about you.